You have this awesome website, you’re ready to show the world what you have to offer, you search for it on Google and nothing comes up. It’s disappointing. Now you’re asking a question: Why can’t I find my website on Google? Don’t despair, there are a few reasons why this can happen, and with the help of Robert Stein (https://connecticutadwordsconsultant.com/), who specializes in AdWords Management in Connecticut, we put together some common solutions to help you find your website in Google. The first thing you need to figure out before moving forward is whether you truly do not exist on Google, or if you are simply not ranking well. If you’re a little confused by the terms let me explain. When I say is your website indexed, it means does Google recognize it as a website. To check this, go to Google and in the search bar type in the word site, followed by a colon, and the complete URL for your website. No spaces. It should look like this “site:www.yourdomainname.com”. If you see your website in the search results, this means that it is indexed by Google. Because you have a hard time finding your website, it means you are not ranking well. Google has algorithms in place to rank search results that appear when certain keywords are searched. You can improve your ranking by working on the following Search Engine Optimization (SEO) techniques. Your webpage is possibly the most visually stimulating page out there, but if you don’t have words, it will not rank well on Google. The algorithm that is used hardly recognizes photos when it comes to ranking. To fix this, add some content. Write information with regards to who you are, what you’re offering, or tips and tricks in your niche. Make sure you focus the content something that can be informative to the viewers you are trying to attract. On the other hand, you may have content, but it may need to be fixed. Think about the quality of your content. Is it stuffed with keywords, making it hard to read? Is it content from another website with a few words changed here and there? Is there duplicate content on different pages on your own website? Any of these things can have a negative effect on your ranking. It is important to have Quality content, that is unique, creative, informative and intended for your target audience. These are the keys to a successful website. If you are having a hard time coming up with topics to write about, a blog topic generator may help you get ideas. All you need to do is enter up to three keywords and it will give you a list of topics you could write about. Your website has more than one page. You have the home page, then all the other pages that have the contents of your website. Each of these pages can have their own title that Google uses when ranking. Often, people don’t bother making these unique to the content of the specific page. They simply use the company name and don’t pay attention to the value it could bring to the visibility of their website. These titles give you the opportunity to tell Google what you have on each of your pages. Making it rank better, and making it easier for customers to find the information they are looking for about your business. Do you Have Good Keywords? Keywords can be a tough one, especially if you are just starting in the SEO world of website building. Are the keywords on your page something that people are going to search for? You could be too technical for your potential readers, or maybe it’s too vague. There are several tools available to help. 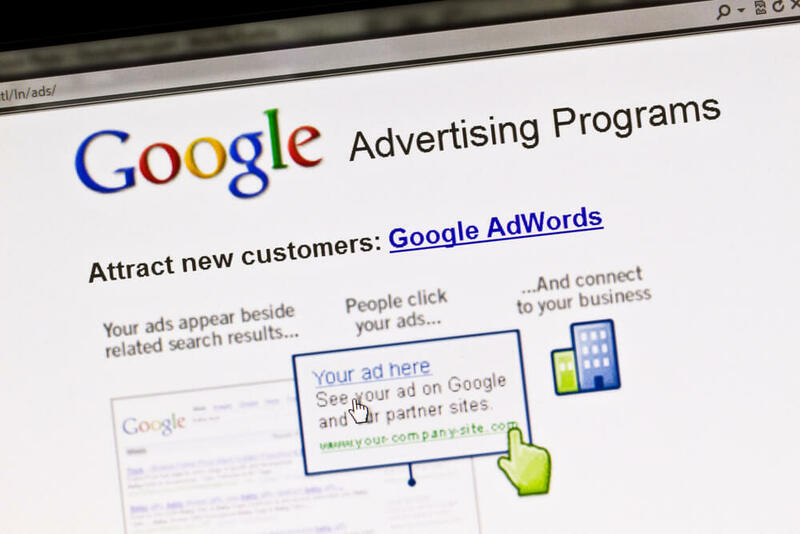 Google AdWords’ Keyword Planner is a great tool to get you started. This will help you find new keywords for your content as well as see how often specific keywords are being searched. Are Google’s Spiders Crawling Your Site? I know, gross right? But don’t worry, these aren’t real spiders. Google sends bots (spiders), to search (crawl) your page. These bots look at the content of your site for algorithm purposes, which in the end is what is going to get your page to rank. What happens with websites that aren’t being crawled by the spiders is that Google knows they exist, but it appears like there is no content. If your website uses Flash, the pages using it will not be crawled by Google. Google’s Webmaster Guidelines can also help you get some spiders on your site. Google suggests following these guidelines to help your site get crawled and, in the end, help your ranking. The coding on your webpage could contain “No Index” tags which essentially tells Google to not recognize your page. This tag could be on your entire website or on specific pages, but make sure they are removed if you want them to appear in Google’s search results. Search Engine Optimization (SEO) can be a very complicated affair when you really get into it. It’s hard to know exactly what to do when trying to rank your pages because there is no magic recipe. The best advice is to know who you are trying to attract and give them the information they will be interested in reading. The technical aspect will come after.